Do your babies/toddlers play with your iPhone? TOUCH any buttons, CALL your friends, send MESSAGES in cipher, and REMOVE your favorite contact? But don't take their pleasure away. Instead, let them satisfy thier curiosity with BabyApps. They can touch icons, call somebody, make notes, play games or piano!! TRY FREE VERSION! 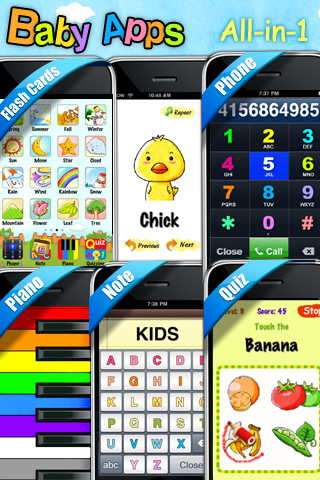 BabyApps: Dial-a-Phone! !